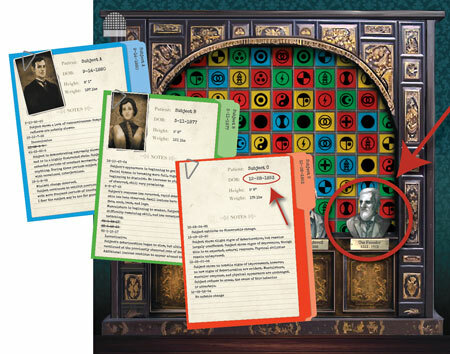 The information on this page is intended to assist groups who get stuck while playing Secret of Dr Gravely’s Retreat. 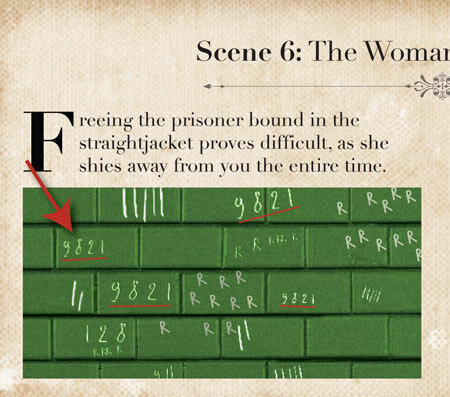 Do not read these hints before playing or risk spoiling the story and puzzles! Welcome, visitors to the retreat! If your party has gotten a little muddled, you’ve come to the right place. We’ll give you hints just a little at a time; use as many or as few as you like. To find the hint that you need, click on the LAST envelope that you have opened so far. You haven't opened any of the envelopes yet! The very first envelope you should try to open is The Desk. The keys look suspiciously like they might fit in the desk lock. Look carefully at the key shapes. Which one of the keys looks like it will fit in the desk lock? Try entering this symbol combination into the Solution Wheel. The key in the middle is the only one that would fit in the desk lock. 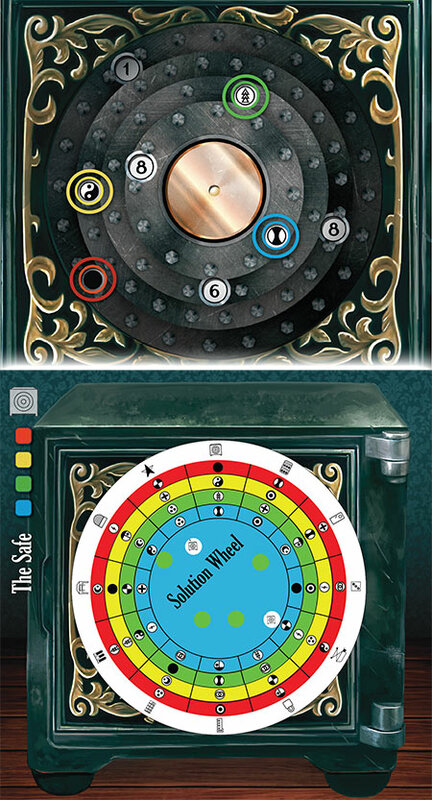 Enter the symbols into the Solution Wheel. Be sure to note the colors of each symbol. The next envelope you should try to open is The Safe. The letter you found inside The Desk mentions that the combination to The Safe has been changed to Dr. Gravely’s birth year. Can you find his birth year somewhere? 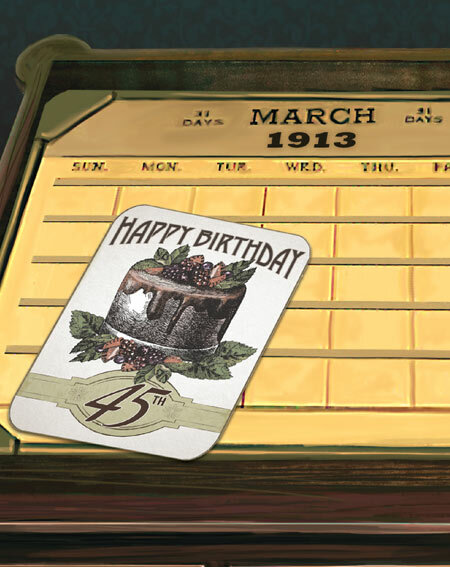 Use the birthday card and calendar on The Desk to calculate Dr. Gravely’s birth year. How can you use this information with The Safe? The metal dial you found in The Desk fits perfectly on the front of The Safe. Rotate the dial until the four numbers of Dr. Gravely’s birth year appear in order through the uncolored holes on the dial. 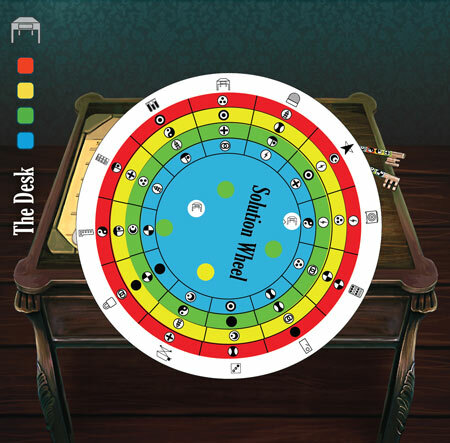 The four colored holes will each reveal a symbol; enter these into the Solution Wheel. 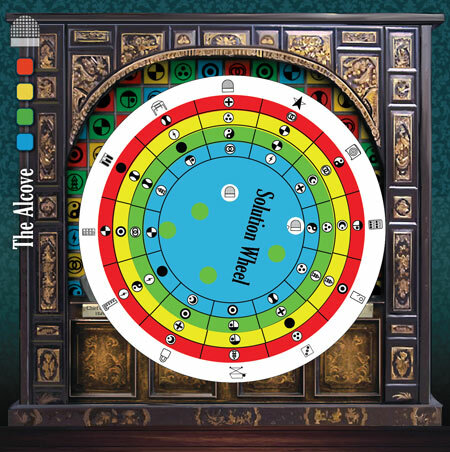 The next envelope you should try to open is The Alcove. Inside The Safe, you found an odd L-shaped piece. What does this resemble inside the room? The L-shaped piece exactly matches the grid on The Alcove wallpaper. Maybe there is an arrangement of 4 colored squares on the wallpaper that exactly matches the arrangement on the L-shaped piece. 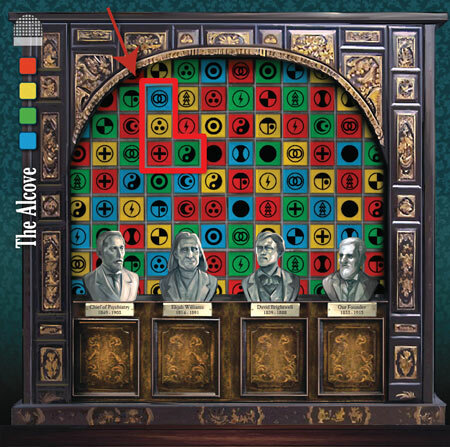 The L-shaped piece matches perfectly with The Alcove wallpaper in the top left corner, revealing 4 symbols. Enter these symbols into the Solution Wheel. The next envelope you should try to open is The Blue Cell Door. Have you found any pieces along the way that seem to match the Blue Cell Door? 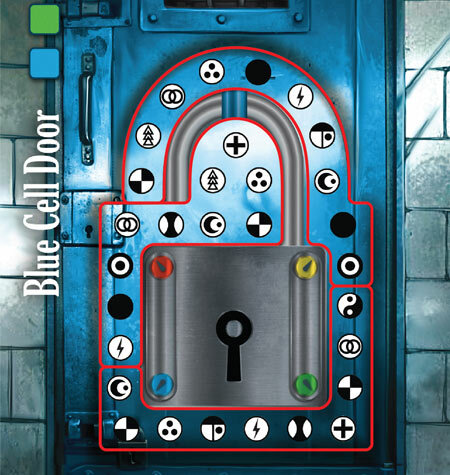 Fit the 3 blue pieces into the darkened outline around the pad lock on the Blue Cell Door. 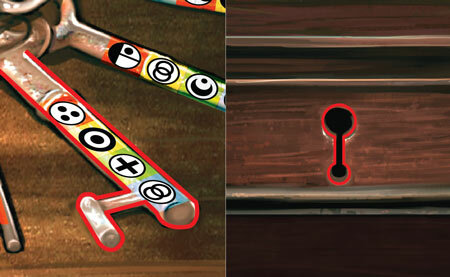 Which symbols correspond with the 4 colors on the corners of the pad lock? 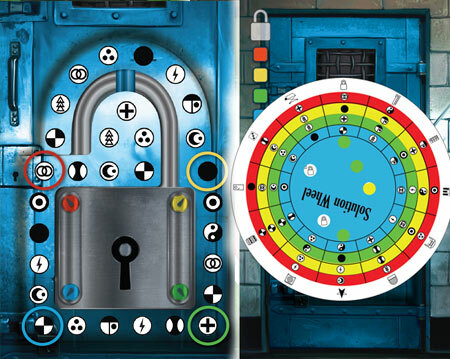 The symbols diagonally next to each color open the pad lock. Try entering these 4 symbols into the Solution Wheel. 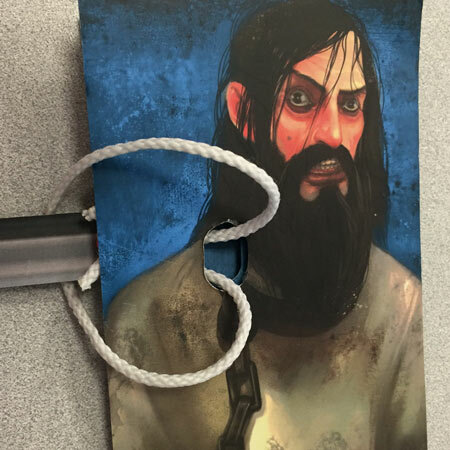 The next envelope you should try to open is The Blue Prisoner. Do you have any experience untangling knots? You’ll need to untie the ropes in order to free the Blue prisoner. Start by loosening the knot. Push the bar through the loop and into the prisoner envelope as shown. Take the top string of the loop and pull it over the top of the prisoner envelope. Don’t bend or fold the envelope – That’s cheating! 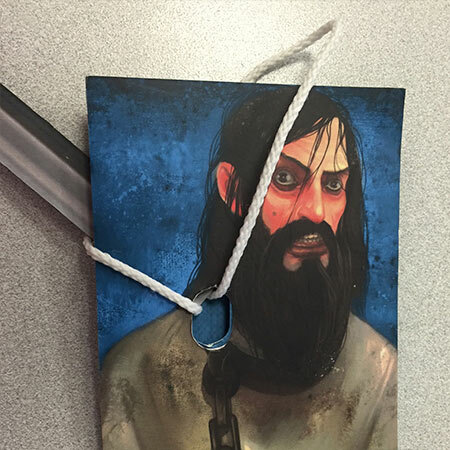 Keep pulling the string around the bottom of the prisoner envelope and pull the bar out to completely free the blue prisoner. Watch the video to see the entire solution – CLICK HERE. The next envelope you should try to open is Green Cell Door. The Blue Prisoner gave you a clue for opening the Green Cell. 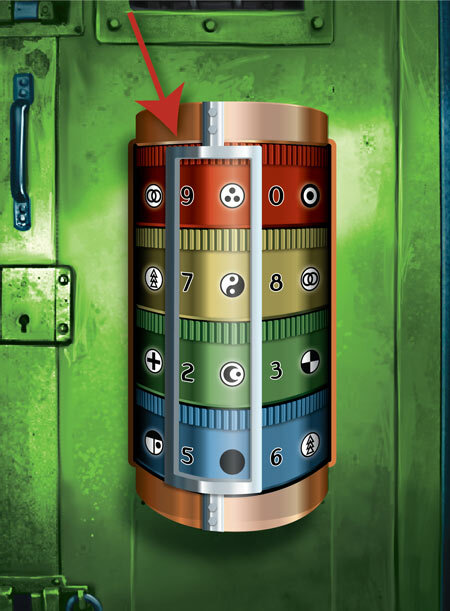 How can you use these numbers to open the green lock? 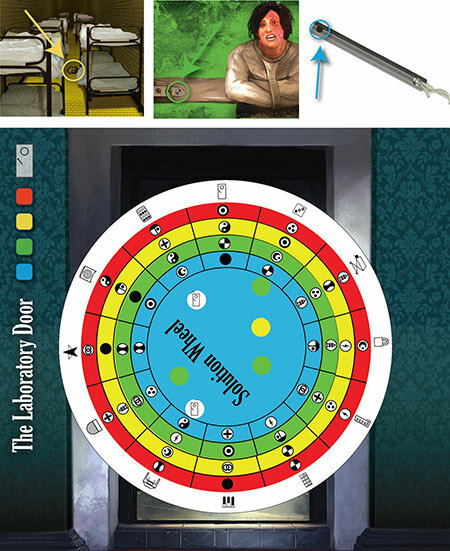 Imagine rotating each of the colored tumblers on the lock of the Green Door so that the numbers mentioned by the Blue Prisoner “3104” align on the left side of the silver combination window. Assume the arrangement of symbols and numbers on each tumbler is the same. 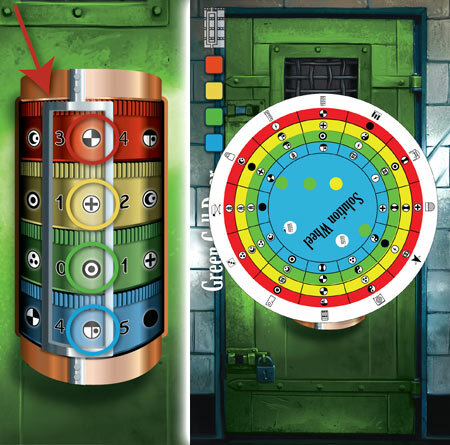 If this were a real lock and you rotated the tumblers to indicate “3104” in the combination window, 4 symbols will also be revealed in the combination window. Try entering these 4 symbols into the Solution Wheel. 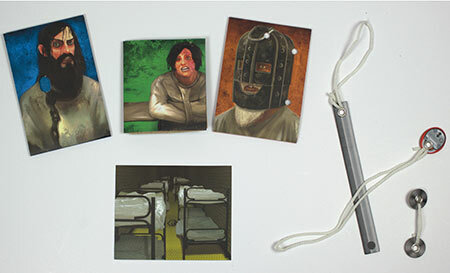 The next envelope you should try to open is The Green Prisoner. Do you have any experience untangling knots? You’ll need to untie the ropes in order to free the green prisoner. Start by flipping the prisoner envelope over so that it lays face-down. Pull the tan strap through the hole in the straitjacket. There is no need to tear the envelope, the round bolts will pull out freely when solved correctly. 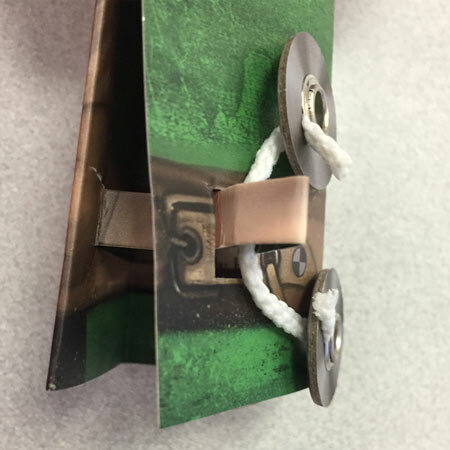 Pull the round bolt through the loop created by the tan strap. Then pull the tan strap back through the hole to completely free the green prisoner. Watch the video to see the entire solution – CLICK HERE. The next envelope you should try to open is Red Cell Door. 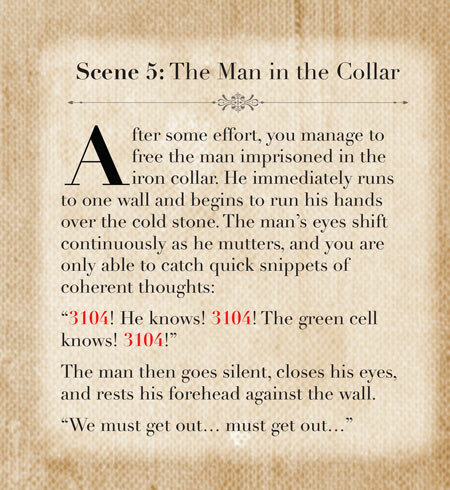 The Green Prisoner gave you a clue for opening the Red Cell, what 4 numbers are repeated on the wall most often. How can you use these numbers to open the red lock? 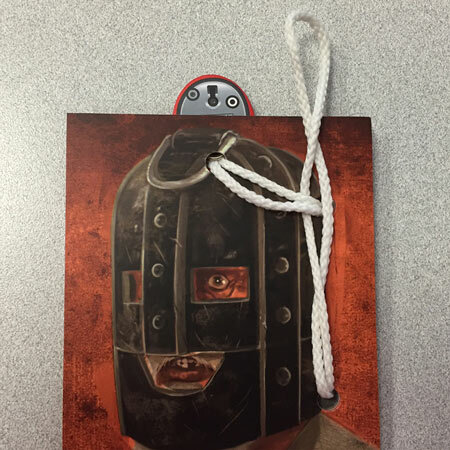 Each number mentioned by the Green Prisoner “9821” corresponds with a symbol on the Red Cell Door keypad. 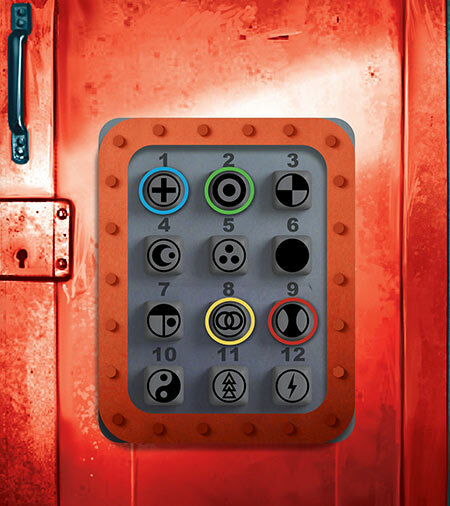 Try entering the 4 symbols revealed by the keypad in order, 9 = red, 8 = yellow, 2 = green, 1 = blue. Does this open the door? 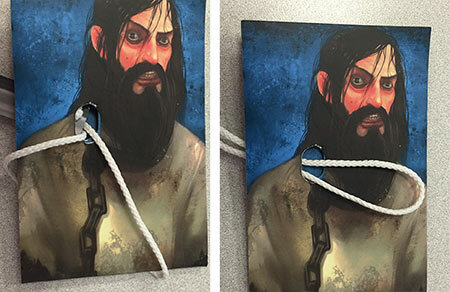 The next envelope you should try to open is The Red Prisoner. Do you have any experience untangling knots? 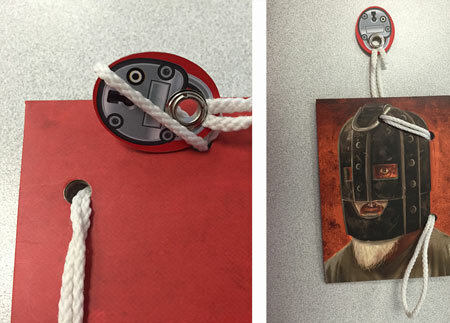 You’ll need to untie the ropes in order to free the red prisoner. Start by pulling all the slack in the string to the loop in front of the envelope as shown. 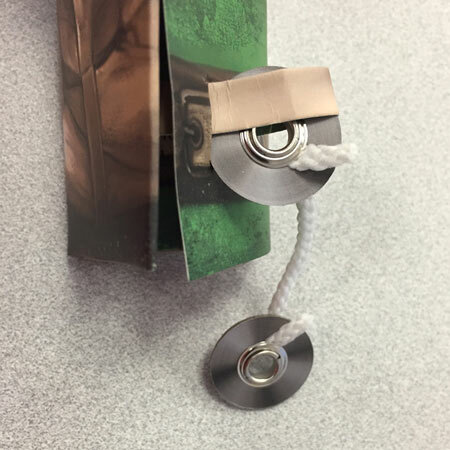 Push the end of the loop through the top left hole in the envelope from front to the back. Flip the envelope over so it is face-down. Pull the lock through the loop. 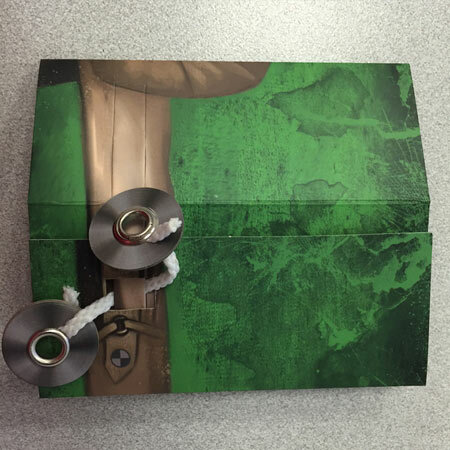 Then pull the loop back through to the front of the envelope. 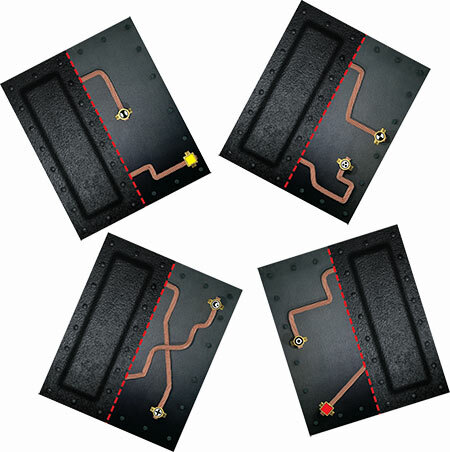 Pull the loop out of the remaining holes to completely free the red prisoner. Watch the video to see the entire solution – CLICK HERE. The next envelope you should try to open is Yellow Cell Door. 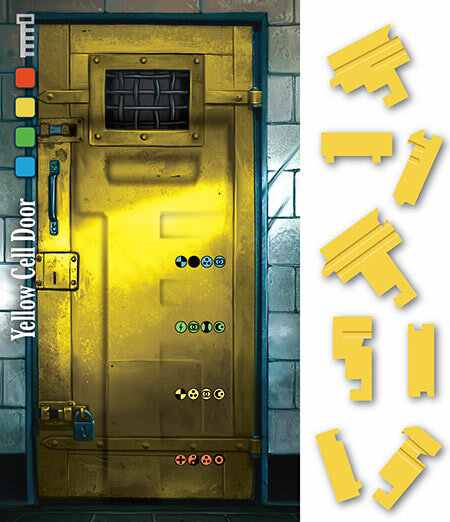 The remaining yellow pieces seem to match the Yellow Cell Door. Fit the 8 yellow pieces into the darkened outline on the Yellow Cell Door. The 8 pieces will assemble to form a yellow key. Four symbols are revealed by the teeth of the assembled yellow key. Try entering these 4 symbols into the Solution Wheel. The next envelope you should try to open is The Laboratory Door. 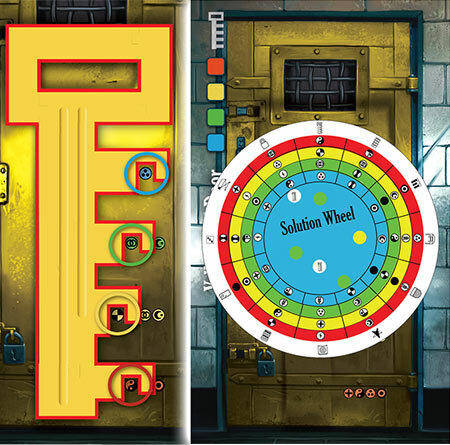 To open this door, you will have to find symbols which have been hidden throughout the cells that you unlocked. You will have to back-track and find the correct four symbols. Look carefully at the items you found inside the cells. Where have you seen odd markings or symbols? 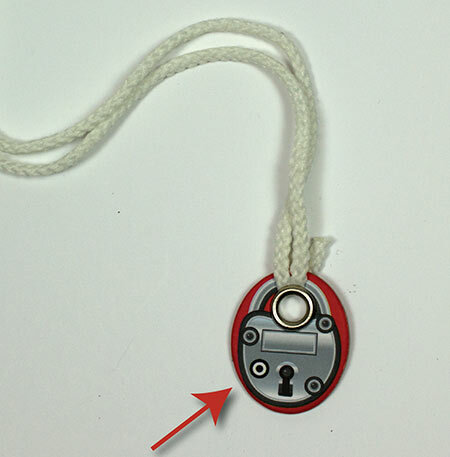 The lock that trapped the Red Prisoner reveals the red symbol. Can you find the other symbols on other items from inside the cells? The red symbol is hidden on the red lock. 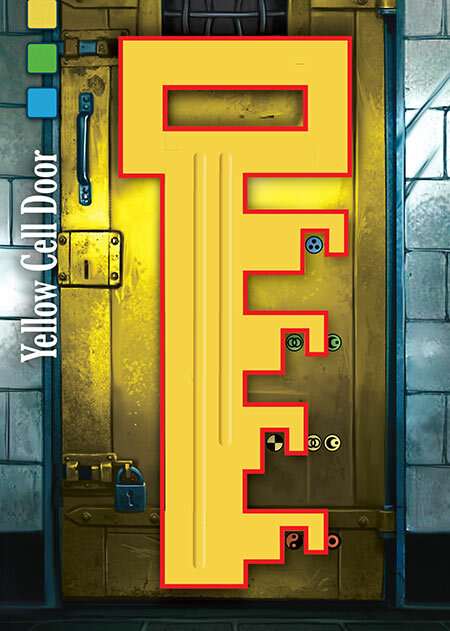 The yellow symbol is hidden in the floor tiles of the yellow cell. 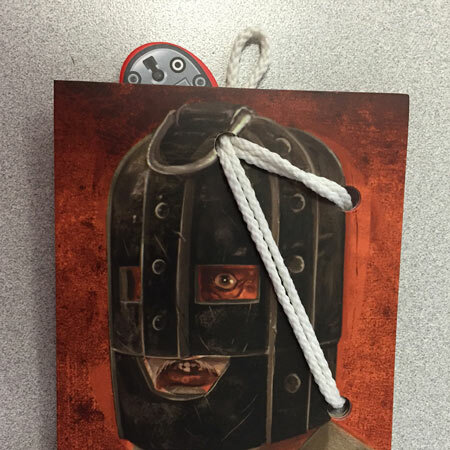 The green symbol is hidden on the back of the Green Prisoner’s straight jacket. 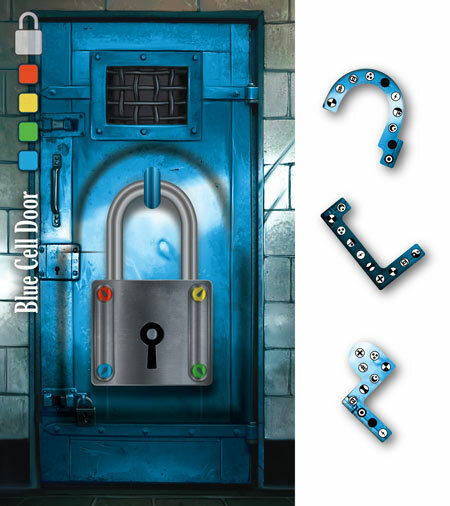 The blue symbol is hidden on the metal bar that trapped the Blue Prisoner. Try entering these 4 symbols into the Solution Wheel. 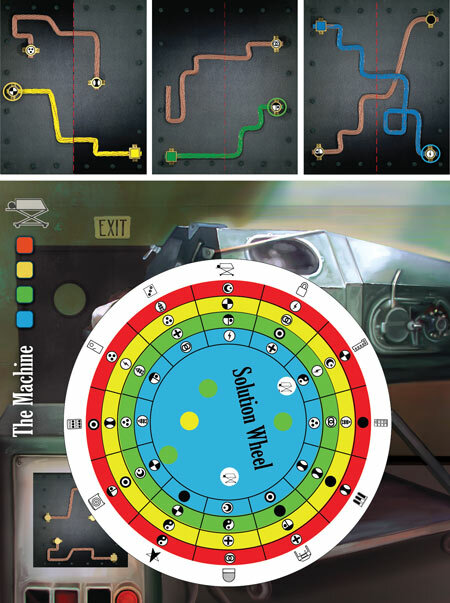 The next envelope you should try to open is The Machine. It’s odd that the 4 wire panels don’t seem to fit together as is. Try bending or folding them. 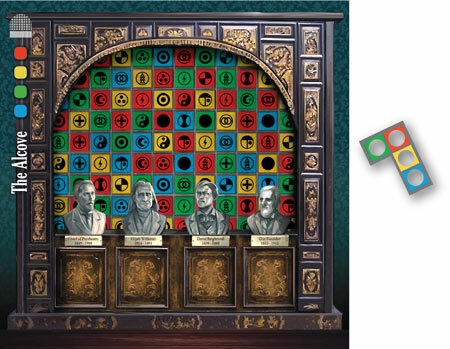 Once folded in half, try connecting the illustrated wires from each color box on one panel to a symbol on another panel. 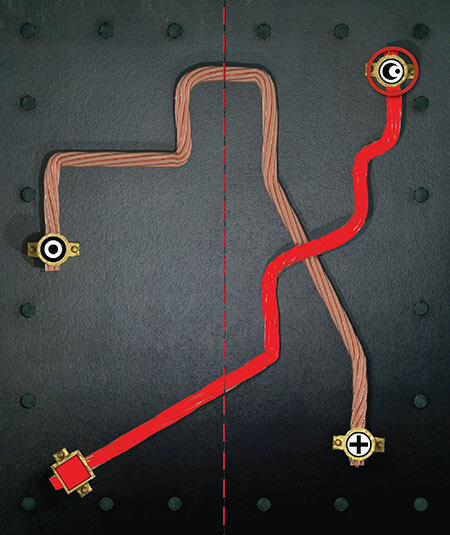 Trace a path using the illustrated wires from each colored box to a symbol; there is only one correct solution. Try entering these 4 symbols into the Solution Wheel. The next envelope you should try to open is The Test Tubes. 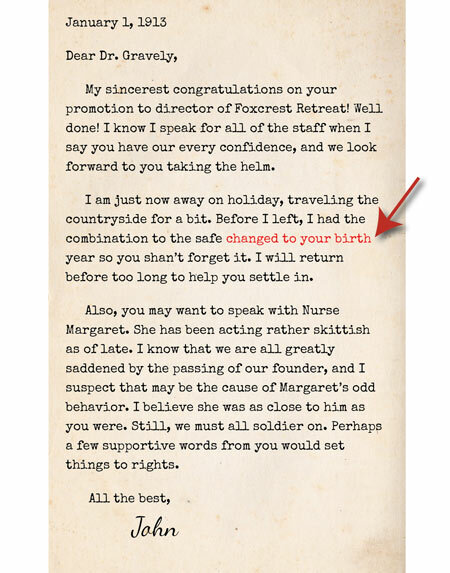 Earlier in the game you read an odd poem from Nurse Margaret, what is she trying to tell you? Read the bolded letters. What do they say? Nurse Margaret was trying to tell you that the antidote is labeled with the founder’s birth year. 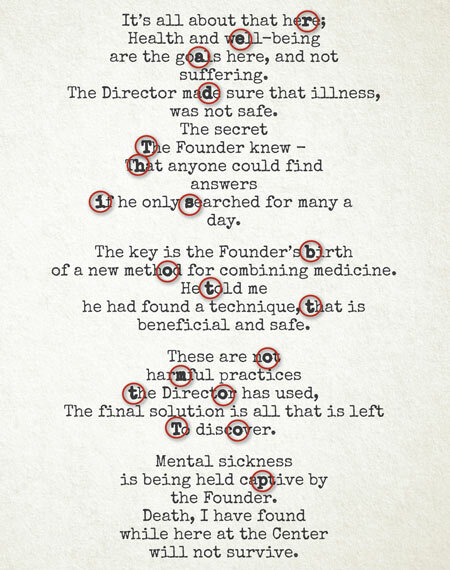 But who is the founder? Look carefully back through the information about each prisoner and at the busts displayed in The Alcove. The Red Prisoner is the founder! 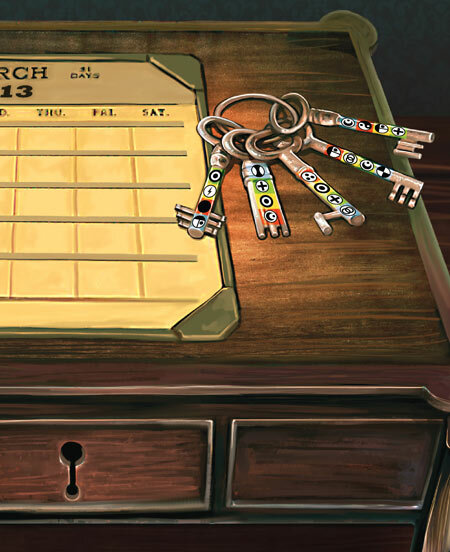 Find the 4 test tubes that correspond with the founder’s date of birth from his folder. 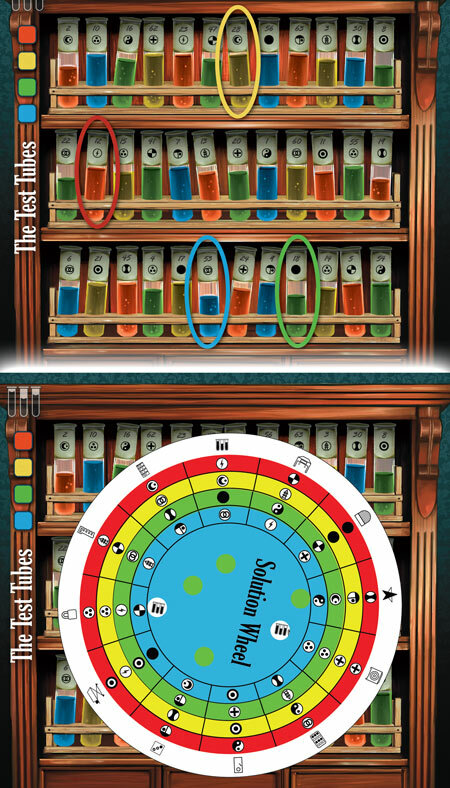 Use the symbols from those 4 test tubes in the Solution Wheel. We tried all the hints for the envelope & we're still stuck! On the outer ring of the Solution Wheel, start with the white symbol from the envelope puzzle you are trying to solve. Then rotate each of the colored rings to line up the four solution symbols from the chart with the symbol on the outer white ring. 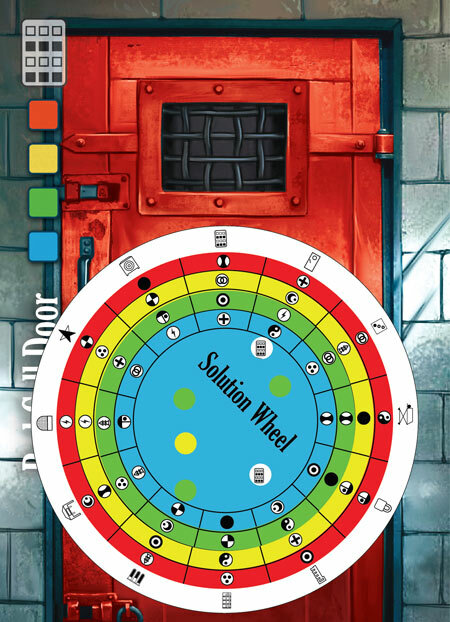 When the same symbol from the outer white ring appears through TWO windows on the Solution Wheel, you have solved the puzzle and can open the envelope!